Media streaming devices like the Apple TV come with a remote, but many of those remotes only offer limited functionality, requiring you to use another remote to control your TV. Brett Epstein aims to remedy that with a small attachment that snaps onto your existing remote. Epstein developed Sideclick, an attachment that snaps on to your existing streaming tv remote, allowing you to power up, control volume, channel, and input source with one cohesive unit. 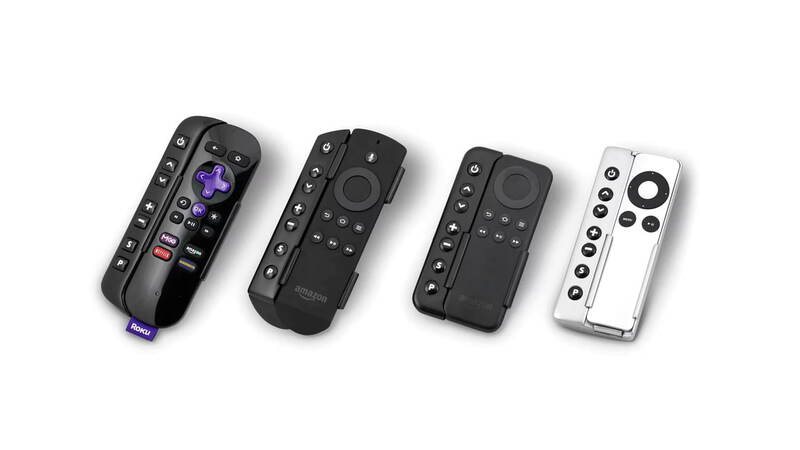 Epstein has designed 4 models of Sideclick, each matching the ergonomic design and aesthetics of either the Roku, Amazon Fire TV, Amazon Fire Stick, and Apple TV remotes. Sideclick snaps on in a second, is comfortable to hold, and uses IR learning technology which can be programmed in a minute or less. Sideclick also allows you to program multiple devices. For example, if you wanted to power up using your TV but you wanted your volume button to control your sound bar, you can. Anything that uses IR technology can be programmed as a button on the Sideclick. The device is currently seeking funding on Kickstarter. It has raised $72,598 of its $150,000 goal with 30 days to go. This entry was posted in Apple news and tagged Apple TV, remote, TV Controls. Bookmark the permalink.